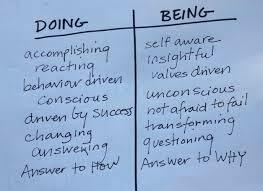 5/31/15 Being or doing, which has greater power? Which makes you stronger? 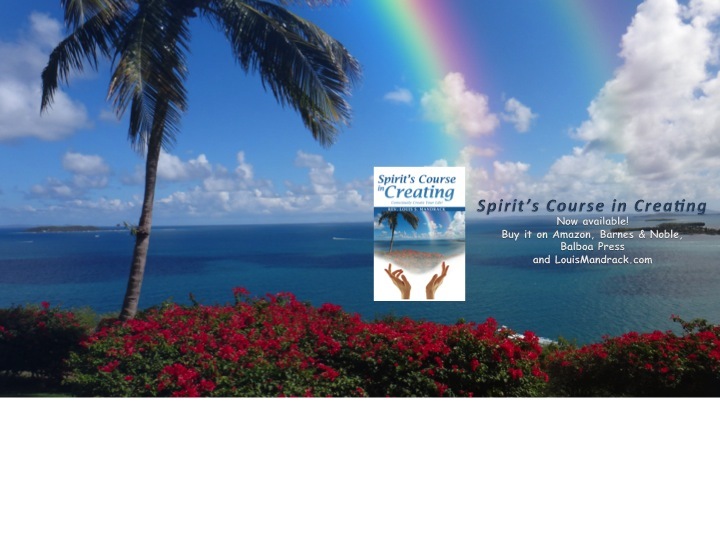 Spirit explains the laws of both physical and ethereal universes and lets you decide. Hmmm, what if I chose both grasshopper? You have been trained in the physical world to understand the laws of physics as they apply to your world. Energy can neither be created nor destroyed. Energy initiated in any direction will continue in that direction until affected by an opposing force. You learned to make something happen in your world when you had to do something. The emphasis was always on doing. You were taught that the only people who got anywhere were those that did something. This is the way of the physical. The physical world has its laws that are to be respected. The ether realm has its laws too. You reside in both realities, yet ultimately there is only the reality of Source. The ether realm has its laws governing energy and creation. You are an integral part of this realm and impact it with equal weight to others. You are used to thinking in the physical world where you have to have power and status to influence others and affect events to any significant degree. This is not so in Spirit realm. You add to the total consciousness by just being you. Like the ripples in the pond, you affect the consciousness of those around you first and to a greater degree than others at a distance in the physical world. You do this through thought alone. Your thoughts affect the Super Consciousness of the world too. Your beliefs, moods and emotions affect All That Is. Thoughts of love and prayer are ways of connecting with others and raising their consciousness. Sending love and prayer is a way of raising the energy level. Healing through prayer and love has been studied and proven in modern day medical experiments. Spontaneous healing has been documented as enlightened beings in their physical bodies have been in the presence of others. All of this is recorded (proof to many) and shows how even in the physical world, raising your vibration will help others. Try to understand how raising your vibration through positive thinking raises the vibration of the Super Consciousness of the world and All That Is. You have seen in your own experiences how one person can enter a room and depress everyone or raise their spirits. You are the ripple in the pond. Your thoughts initiate the chain reaction. You affect others to a greater degree than you know. Be the Source of healing. Be the Source of joy. Through these initiations of thought, you heal yourself, and bring joy to yourself. All creation starts with the self. HEY reader… If you like reading this material, you can now get Spirit’s Daily Inspirations, a few sentences, right to your inbox every morning to start your day focusing on creating what you want. …and its FREE. Who doesn’t LOVE FREE?